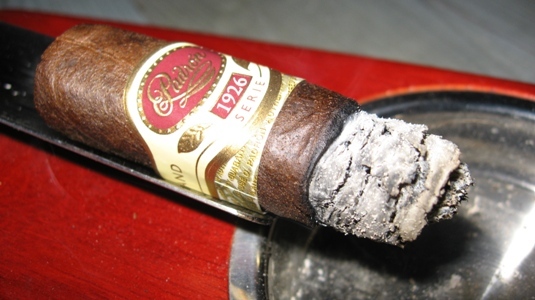 Padrón Cigars offers 3 consistent lines along with a select few special releases. The particular cigar I reviewed was from the “1926 Serie” and is called the “No. 35” measuring in at 4inches with a 48 ring gauge. All vitolas in the series are available in both Maduro and Sun-Grown Natural wrappers. The other sizes available in this line are: No. 6 (4.75 x 50), No. 2 (5.5 x 52), No. 9 (5.25 x 56) and two specialty vitolas, ‘40th Anniversary’ (6.5 x 54) and ‘80 Years’ (6.75 x 54). The prices of these cigars tend to be fairly high but they are intended to be a premium line and more than live up to their selling price. 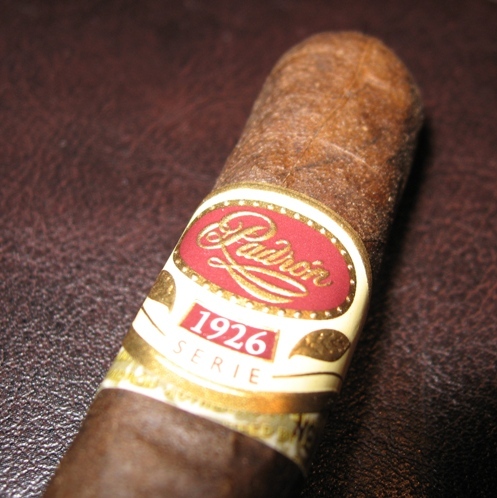 The 1926 Serie was first released in 2002 and is a commemoration of Jose O. Padrón’s 75th birthday. The minimum age for all tobacco in this line is 5 years, so rest assured you are getting a wonderfully aged product right out of the box, no need to let them rest. Light up and enjoy! 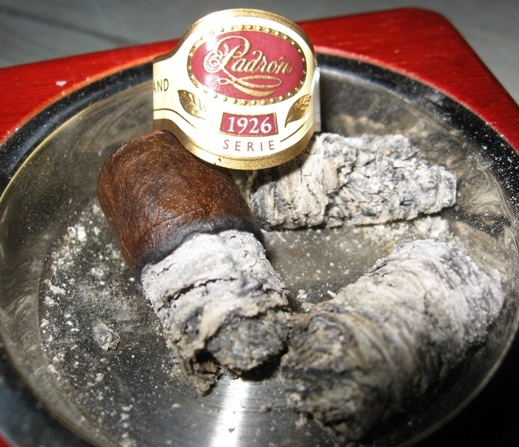 I also wanted to note that each Padrón 1926 Serie cigar comes with a second band under the logo band that is individually numbered after undergoing their strict quality controls. 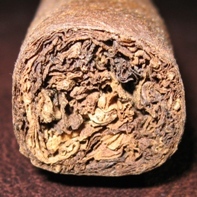 The annual production of this cigar will be limited to only 100,000 each year. When I picked up this cigar on a trip down in Florida I was hesitant whether it would live up to the name given the small vitola. 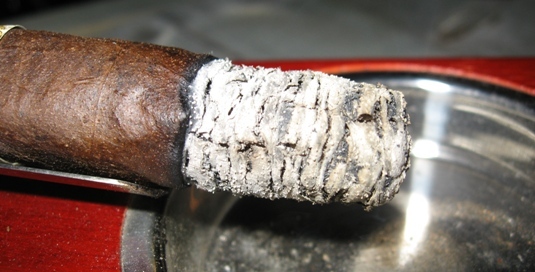 Take a few minutes to read my notes on the cigar and you’ll see that it was worth every penny. This is a wonderful cigar experience and would definitely recommend this to anyone that asks. 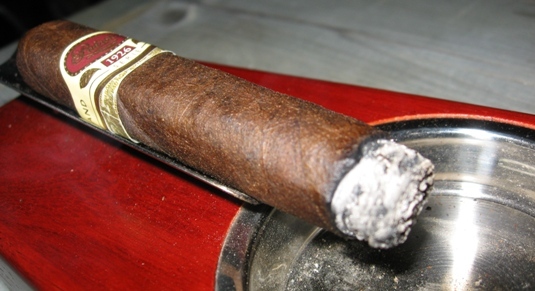 The flavors throughout the cigar were pronounced yet balanced and enjoyable. 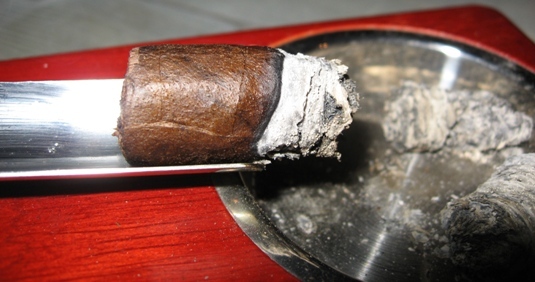 There was not a single spot in the cigar that I wasn’t enjoying myself, it was great from the first draw to the last. Although in the higher price range, this is definitely a box-worthy cigar to be smoked on any occasion, whether a special day or just relaxing on a sunny afternoon. A cigar like this requires a good pairing or you could throw off the delicate balance of flavors that make this a great cigar. My pairing with a medium bodied, semi-dry wine worked perfectly. I can also see this working well with a fine scotch or cognac. Don’t opt for the inexpensive stuff here, it will take away from the experience. I also wouldn’t go with port or soda on this cigar as the high sugar content could also lessen the experience. For a non-alcoholic pairing, I’d probably go with water or coffee to make this cigar really shine. 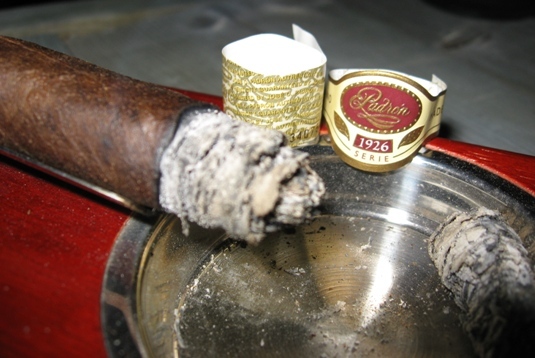 I love this cigar, but I think the larger ring gauges have more far more complexity, especially when aged. What a great review of a perfect cigar. 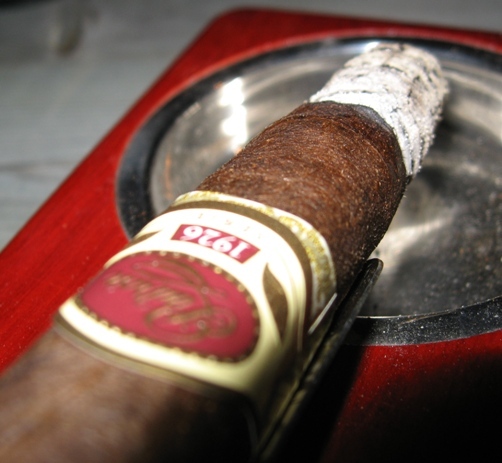 I especially liked the back story on the brand – I have had other cigar blends by this company but never the 1926 no 35 maduro – Although it may be a bit specific to find, this one will easily be added to my radar! For whatever reason, I usually enjoy the naturals more than the maduros in this line. But, both cigars are wonderful! Wonderful review on this fine cigar..Have paired with espresso and water (non-alcohol drinker) and both were great. Water was the perfect pair for me.